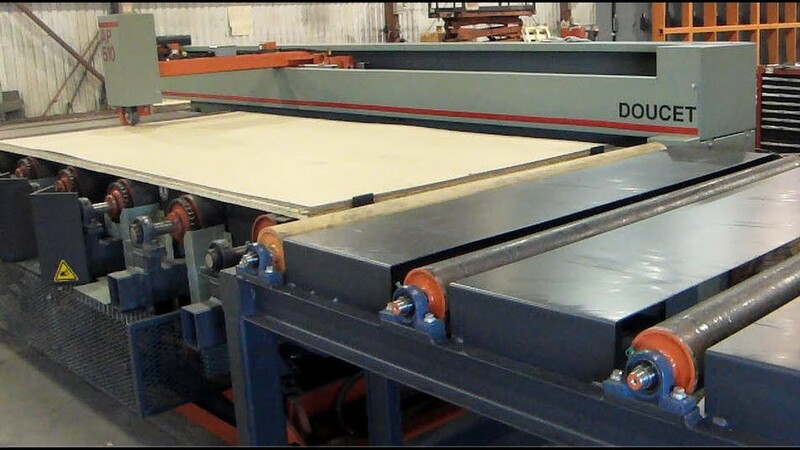 The AP Automatic Panel Feeder speeds up and facilitates material placement onto the front table of any finishing machine such as a panel saw or a sander. Teaming-up your advanced production system with a feeding device improves consistency, and helps reduce risk of occupational injuries with handling heavy and cumbersome panels. The AP Automatic Panel Feeder speeds up and facilitates material placement onto the front table of any finishing machine such as a panel saw or a sander. Teaming up your advanced production system with a feeding device improves consistency, and helps reduce risks of occupational injuries with handling heavy and cumbersome panels. The AP Automatic Panel Feeder is designed to feed panels up to 4 or 5 feet wide by 8, 10, 12 or 16 feet long onto any receiving unit.